Regular wellness exams keep your pet healthy! The Animal Hospital of West Lake Forest recommends that all pets undergo a complete wellness examination at least once a year, though more frequent exams are encouraged. 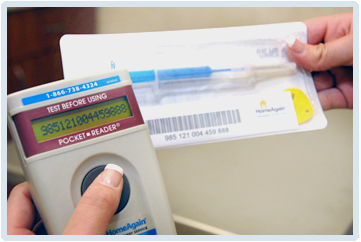 A thorough wellness exam detects diseases and health care problems before they become more difficult to treat. During an exam, we listen to your pet's heart and lungs, evaluate his or her vision, check for unusual lumps, look at your pet's teeth and oral cavity and check your pet's joints for swelling or stiffness. We also discuss with you any recommended procedures, such as dental cleanings or diagnostic testing that may be appropriate for keeping your pet healthy. Examinations help us to get to know your pet on a one-on-one basis. Information obtained during an exam helps us develop a complete picture of your pet's health and gives us a chance to ask questions about your pet's diet, lifestyle and behavior at home. Examinations also are an excellent time for you to ask us any questions you may have about your pet's health. Vaccinations are an important part of your pet's preventive health care plan. Many diseases once common to pets can now be prevented through the use of vaccinations. 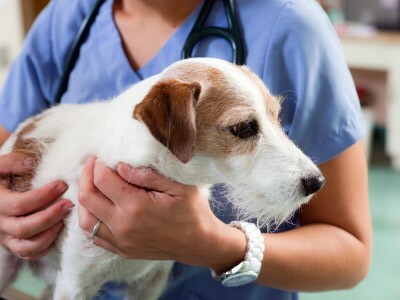 The Animal Hospital of West Lake Forest provides common pet vaccinations, including vaccines for rabies, bordetella, distemper, and other common diseases. Your pet is a one-of-a-kind companion, and his or her vaccination plan should be just as unique. We administer vaccinations based on your pet's lifestyle and other risk factors. Thanks to advances in veterinary medicine, pets are living longer than ever! Most pets enter their "senior years" between the ages of seven and nine. Senior pets have health care needs that are very different from puppies and kittens and adult cats and dogs. The Animal Hospital of West Lake Forest offers senior wellness care designed to meet the needs of your older pet. Senior wellness exams, laboratory tests, and other senior pet-focused services are important aspects of senior wellness care. The veterinarians and staff at the Animal Hospital of West Lake Forest are committed to helping you and your senior pet enjoy many happy years together. 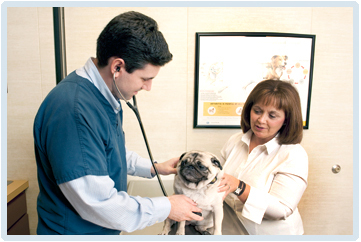 At the Animal Hospital of West Lake Forest, we continually look for new and innovative therapies for our patients. Laser therapy provides a non-invasive, pain-free way to reduce pain, inflammation and stimulate healing at a cellular level. Laser therapy is the use of specific wavelengths of light to treat painful and debilitating conditions. Light energy is transmitted through the layers of skin and accelerates the healing of damaged cells (with no adverse effect on healthy cells). Pain and inflammation is reduced and tissue repair processes are activated which helps our patients more quickly return to their everyday activities. Laser therapy treatments are painless and generally last only a minute or so per site depending on the condition and area being treated. You can expect your pet to experience improvement in as little as 1 or 2 treatments, while chronic conditions can be controlled with regular sessions. The effects of laser therapy are cumulative so your pet will benefit as the treatment plan progresses. Make an appointment for your pet to begin experiencing the benefits of laser therapy today! It's a fact: your pet needs proper identification. A sturdy collar and ID tag go a long way toward bringing your pet home if he or she is lost, but sometimes, a collar and tag are not enough. Microchipping your pet is an effective pet identification measure that has reunited thousands of pets and their owners. A microchip is implanted in your pet in a procedure similar to a vaccination. Every microchip contains unique information about your pet - information that is used to contact you when your pet is found. At the Animal Hospital of West Lake Forest, we use the Home Again microchip system. Please ask a staff member about scheduling your pet's microchipping appointment.